Today it is the 146th anniversary of the formal transfer of the Territory of Alaska from Russia to the United States on October 18, 1867. Alaska Day, observed on October 18, was declared a state holiday in 1917. The Treaty for the Alaska Purchase was signed earlier that year on March 30. It was commemorated as Seward's Day, the last Monday in March. 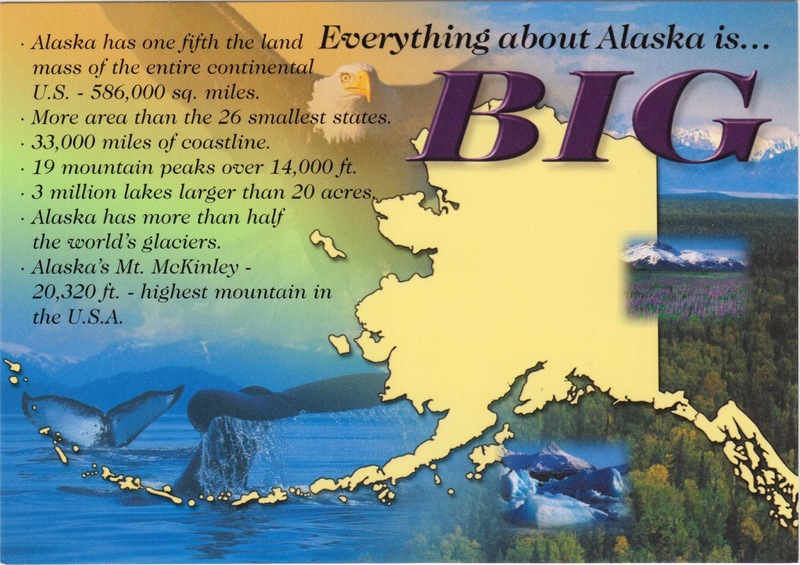 Alaska was officially proclaimed a state on January 3, 1959, becoming the next to the most recent State (Hawaii) to join the Union. Everything about Alaska is BIG is one of my Alaska collections in ASPRS 2003.